Do you wish to close off a staircase while keeping its airy and visible design? We help you turn stairs into eye-catching features. Furthermore, this glass balustrade-turned screen optimises the flow of light. Installing glass wall is extremely straightforward. You get to choose from 4 different options and no matter which one you go with, safety is assured. You can also use glass wall as a full-glass wall for creating secluded yet transparent office or meeting spaces. Fancy Glass and Mirror is a glass furniture brand, with a wide range of quality, designer furniture that is absolutely ideal for any interior, modern or traditional. Our ever-growing range combines glass with a carefully chosen mixture of high quality hardware to create contemporary occasional furniture and innovative multimedia storage that wows at home and abroad. Modern Furniture’s range of occasional furniture includes beautiful dining tables, desks, glass shelving – and a comprehensive selection of coffee tables and console tables. 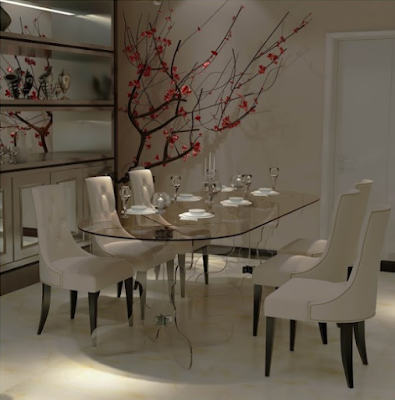 We offer a range of beautifully crafted glass dining room tables to enhance both your dining experience and dining space. Our sleek dining room table designs are perfect for elegant & everyday dining. The range of Fancy Glass Furniture which we offer to the customers has been designed in a very attractive manner and they have been made using a high quality of raw materials which have been procured from reliable market vendors. 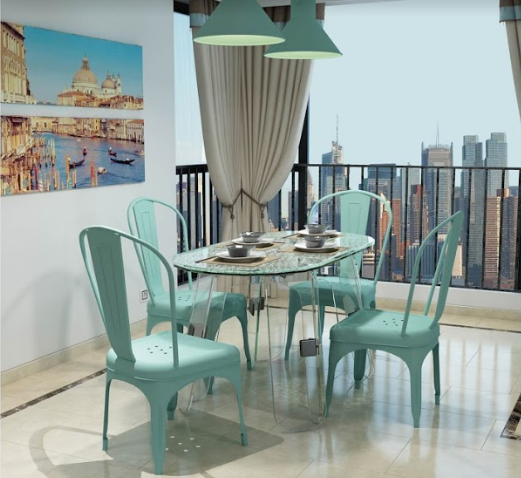 This furniture has a very stylish and an elegant make and this furniture have been made in a very precise manner and they have an excellent finishing. The furniture has been priced at very affordable and reasonable rates in the market. Look out for the exciting new furniture designs that are regularly added to the range! Glass has become an increasingly popular material in modern furniture design. The range of glass options affords tremendous scope to achieve almost magical translucent effects, further enhanced when pieces are positioned under favorable lighting conditions. 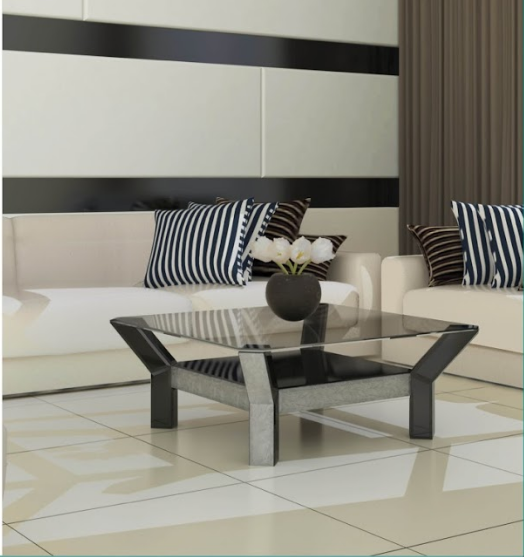 This high quality contemporary ‘classic glass coffee table’ provides an ideal focal point for any living space. This coffee table is not only stylish but highly functional as well. The Classic glass furniture range comprises of tables designed and manufactured to the highest of standards. A feature found within this furniture range is the sturdy glass legs which ensure that these glass coffee tables will sit well on any floor surface. This glass furniture’s highly transparent appearance means it will work well in any period or style environment reflecting the light and brightening the room. If you have something specific you want to display in one of our classic coffee tables contact us with the dimensions and we will show you the correct size. The word 'display case' may bring to mind something fusty and old-fashioned. But it is not like this. Nowadays, we can see more and more of these Glass Items in stylish, modern homes. These are a great option if you need a little extra storage and like looking at your stuff, but want something a little more orderly and contained than a bookcase or open shelving. Here, at Modern Furniture, we are dealing with custom made display cases and are offering wide range of glass options and designs. Display cases with glass shelves are creating the illusion of a higher ceiling and larger space. In our glass cabinets, glass shelves continue the transparency. It is most common to use glass doors in a bar area or display cabinet. Having a glass face, these display cabinets can be decorative, displaying decorative dishes and personal items. It's also great to help clear clutter off your table/worktop, and a dedicated space to display your knick-knacks. Do not hesitate to contact our team and we’ll provide you with full information regarding all the custom products. If you want to achieve the elegant look of you home - we can offer you custom glass furniture. Before buying your custom glass furniture you need to know some advantages of it to make sure that it is really safe and reliable. 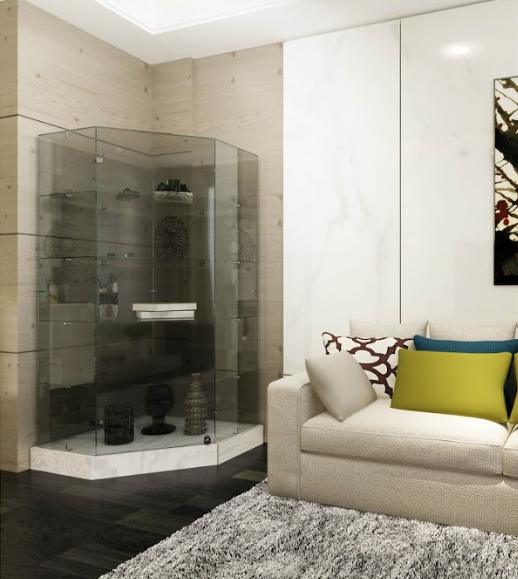 Here are a few simple reasons which will show you what the glass furniture is. For our custom made glass furniture we are using tempered glass which is stronger to regular glass by four to five times. It is also called strengthened glass, this durable surface is created through a chemical or heat treatment process whereby it is modified internally to withstand pressures that standard glass can never handle. Nowadays glass is one of the most stylish and impressive interior decoration solution, offering you a chance to combine elegant look with an ultra-modern design. Glass tops are rather impressive and chic. 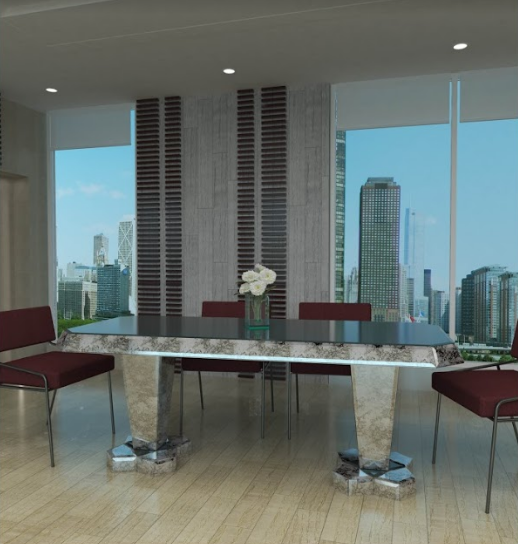 Glass top tables are designed for modern interiors exclusively. They look amazing in neutral modern design themes, as well as in a very hi-tech environment. 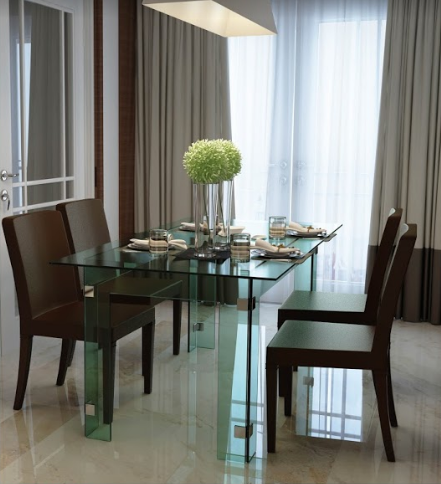 You can order any shape and size of glass and enjoy the elegant look of your table. In addition, our company offers a wide choice of tinted glass hues, so you will not have any difficulty finding the exact shade you need..
Glass table surface is incredibly easy to maintain. Unlike wood, it is water-resistant, so you will not have to worry about occasional spills. One more reasonable advantage of glass top is that it does not fade with time, which means that glass top dining tables will look good as new for many years. The Glass tops are made of tempered glass, which is durable and safe material. It is unlikely to get scratched or broken – and this damage resistance makes glass table a perfect furniture piece for any family – even the one with children.